Robotiq’s standard method and a set of tools to deploy more productive robotic cells, faster. How to Simplify Robot Cell Deployment? How to design my robotic cell? How can I integrate my robot quicker? How to optimize my robot cell? Lean robotics is a systematic way to complete the robotic cell deployment cycle, from design to integration and operation. This methodology is detailed in a book written by Robotiq CEO Samuel Bouchard. 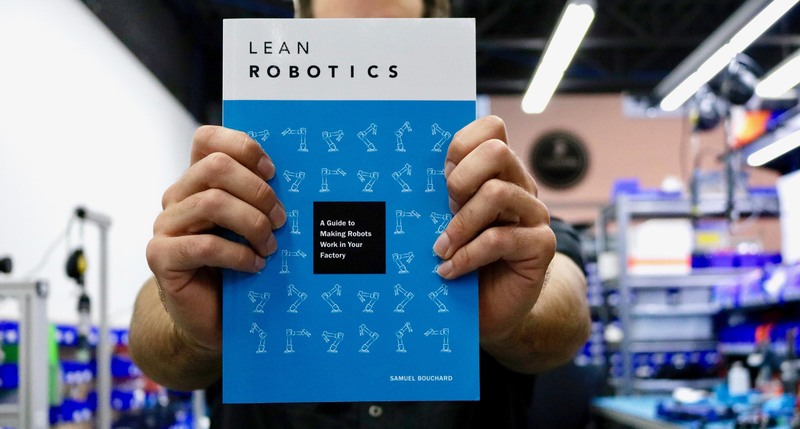 This book is the result of a decade of the Robotiq team’s experience helping thousands of manufacturers overcome production challenges using robots. 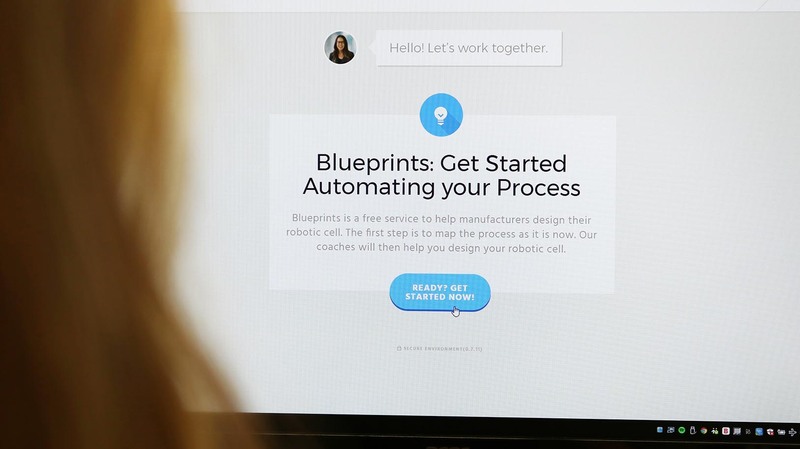 Blueprints is the free service to help manufacturers design their robotic cell. The first step is to map the process as it is now. Robotiq coaches and your local partner will then help you design your robotic cell. Robotiq’s Plug + Play components are faster to program than ever before with ready-to-use Skills applications. Production engineers standardize on Robotiq’s Plug + Play components for their built-in integration with Universal Robots. Skills accelerate robot programming by providing ready-to-use, downloadable robotic programs. Ask integration questions and get answer from pros on DoF, a Robotiq Community. 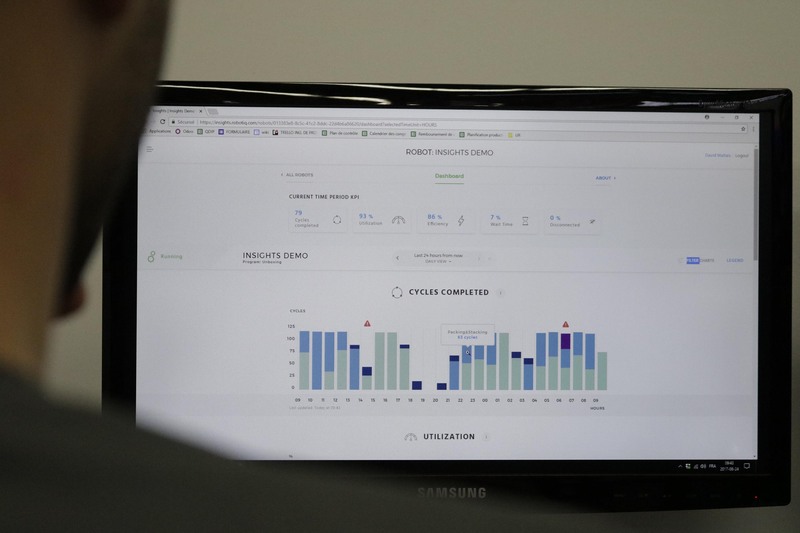 Insights is a web application measures Universal Robots performance. It monitors the robot cell and provides data to optimize your operation and increase productivity. Start with the free robot cell deployment resources at leanrobotics.org, and get the book to deepen your understanding of the Lean Robotics methodology.